Our Laser Tube & Pipe Cutting Machine lets you skip many processes to minimize the labor costs and consumables. Compared to conventional pipe cutting, it is 31% more cost-efficient. The laser generator is maintenance-free, it can be used for 100,000 hours (about 20 years). The laser cutting machine is 5-10 times faster than conventional pipe cutter, it is 49% more time-efficient. The laser cutting precision can be controlled up to ±0.05mm. The laser cutting offers high quality burr-free cutting, no require for end facing. 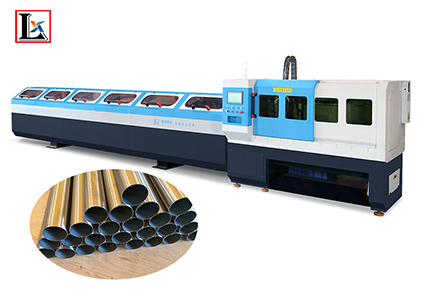 Previous Why not suggest plate and tube laser cutting machine for tube cutting?